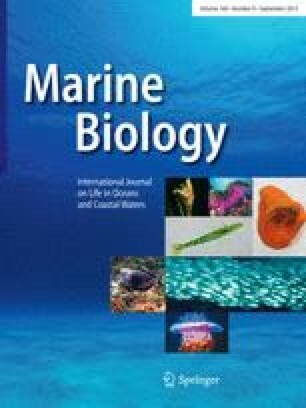 The ultrastructural morphology of storage-cell breakdown and replenishment in Mytilus edulis is described for mussels collected at monthly intervals over a period of one year (September 1981 to October 1982) from a site in Cornwall, England. In addition cytochemical staining reactions at light and electron microscope levels are described for the storage cells and the Sertoli cells. The breakdown of adipogranular (ADG) cell components is believed to be a lysosomally-mediated process of controlled autolysis involving fusion of primary lysosomes with the protein granules. Increasing activity for lysosomal enzymes during ADG cell breakdown is demonstrated using quantitative cytochemistry. The presence of glycogen in vesicular connective tissue (VCT) cells is demonstrated using freeze-dried, formaldehyde-vapour-fixed tissue. The breakdown of VCT cells involves sequestration of glycogen from the central reserve into small cytoplasmic vesicles; subsequent release appears to be mediated by eccrine secretion. The presence of arylsulphatase activity in lysosomes within the peripheral cytoplasm of the VCT cells during the winter months indicates that glycogen breakdown may also be lysosomally mediated. The morphology of the Sertoli cells is described; during the early stages of spermatogenesis they are characterized by the presence of numerous lipid droplets which are depleted as development proceeds. Contact between Sertoli cells and developing spermatogonia is maintained by means of long septate junctions. Following spawning, the well developed lysosomal system is evident in the Sertoli cells and appears to be engaged in intracellular digestion of phagocytosed waste sperm and residual cytoplasm. Resorption of the products of gamete degeneration by the gonoduct epithelial cells is described. During regeneration, VCT cells appear to endocytose material; the ADG cells demonstrate extensive arrays of rough endoplasmic reticulum and are occasionally seen undergoing mitosis. A process involving loss of glycogen vesicles from the mantle epithelial cells by means of apocrine sections is described.